Honeymoon Hideaway Our records show that this inn is closed. Homestead Inn Bed Breakfast and Spa Our records show that this inn is closed. Racquet Club of Palm Springs Our records show that this inn is closed. Garbo Inn Le Our records show that this inn is closed. Casa De Los Ninos D'amor Our records show that this inn is closed. Orchid Tree Inn Our records show that this inn is closed. Desert Fountain Inn Our records show that this inn is closed. Casa De Agua Our records show that this inn is closed. Three Thirty Three B&B Our records show that this inn is closed. Fern Valley Inn Our records show that this inn is closed. Lodge At Pine Cove Our records show that this inn is closed. Alexander Inn Our records show that this inn is closed. Palm Springs bed and breakfast travel guide for romantic, historic and adventure b&b's. 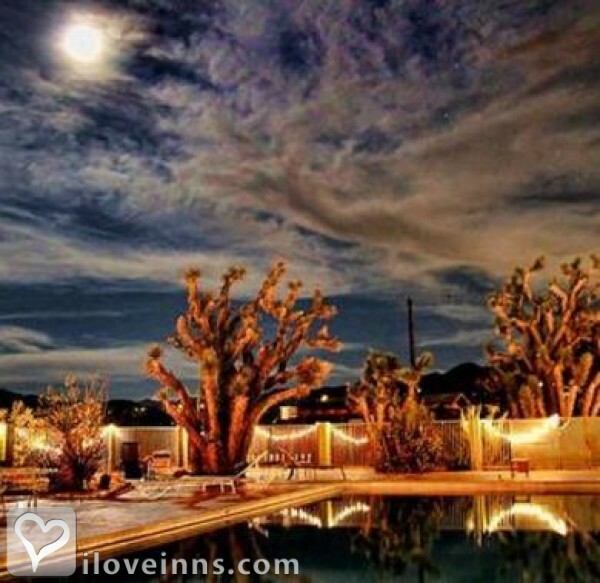 Browse through the iLoveInns.com database of Palm Springs, California bed and breakfasts and country inns to find detailed listings that include room rates, special deals and area activities. You can click on the 'check rates and availability' button to contact the innkeeper. Palm Springs is a desert oasis famous for it's Hollywood glamour and Palm Springs bed and breakfasts make the most of this. This great vacation destination is 2 hours from both Los Angeles and San Diego. This stunning desert town offers great natural beauty, fantastic restaurants, golf, tennis, and a plethora of small Palm Springs boutique inns and Bed and breakfasts. The world's longest rotating tram cars, the world-famous follies, and more than 200 golf courses are some of the highlights of Palm Springs. The real draw is the sun which shines 350 days a year and temperatures are very comfortable even in middle of winter. Ask a Palm Springs bed and breakfast innkeeper for directions to The Living Desert, Palm Springs Aerial Tramway, Knott's Soak City, Moorten Botanical Garden, Smoke Tree Stables, Indian Canyons, Tahquitz Canyon,`Elvis Honeymoon Hideaway and the Star Tour, all great attractions. By Rendezvous. Palm Springs California is a mecca for activity, be it festivals, musical entertainment, art walks and galleries, Mid-Century Modern decor tours and antiquing to vineyard tours, we have it all! Vibrant downtown area boast terrific shopping and the ultimate in epicurian dining. Cultural activities and live theater abound. By POSH Palm Springs Inn. Cities located in deserts may seem uninteresting for many tourists but once they see Palm Springs in California such notion will no longer stand. Palm Springs is considered as one of the best planned desert cities in the United States. In fact, Palm Springs bed and breakfast inns are located strategically near the city's point of interests. From their accommodations in Palm Springs bed and breakfast inns, tourists can take a short travel to Palm Canyon and be amazed of its picturesque views. They may also hike the trails at the Agua Caliente Indian Canyons. Evenings can be very entertaining by watching performances at the fabulous Palm Springs Follies. Golfers can try the challenge provided by Indian Canyons Golf Resort, the Indian Springs Golf and Country Club, and Escena Golf Club. Those who like to learn more about arts, history, and culture should visit the O'Donnell House and the Palm Springs Art Museum. By Korakia Pensione.